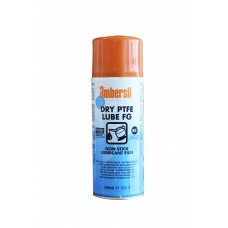 Exceptional quality products for maintenance professionals and engineers at the right price. 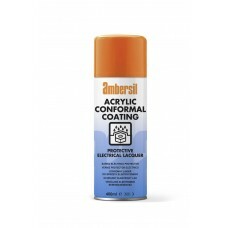 Ambersil Acrylic Conformal CoatingProtection for PCB'sApply to populated PCB's and electronics to se..
AGL 1 Lubricant for electrical equipment.Use to displace moisture and protect electrical contacts fr..
High temperature corrosion protector/400mlFor use on:Furnace doorsBoiler casingsDrying ovensFoundry ..
Ambersil Amberklene LO30Lower odour solvent degreaser.Use for general light degreasing on bearings, .. Contact cleaner.Ultra pure formulation for critical maintenance. 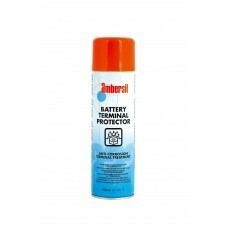 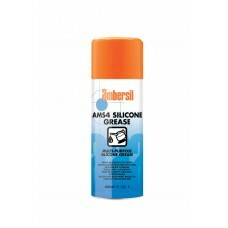 Removes light oils and contaminatio..
Ambersil AMS4 Silicone GreaseA military grade silicone grease.Military and aviation grade XG250 sili..
Dissipates Static Build UpUse on any surface prone to static charge prior to maintenance, or as part..
Ambersil Battery Terminal ProtectorProtect battery terminals from corrosion and damp. For use with i..
Belt Dressing FG Adhesive Belt LubricantImproves grip on all types of belts whilst reducing squ..
Repair for hot-dip galvanised steel / 400mlBright Cold Galvanise goes on bright then weathers natura..
CCL 100 Contact Cleaner & Lubricant / 500mlA 2-in-1 Contact cleaner-lubricantFor use on electric..
High Temperature Anti-Seize PasteUse on threaded fasteners to prevent seizing during prolonged maint..
Waxy Anti-Corrosion TreatmentUse on ferrous metals as a long term protective coating for stored equi..
Ambersil Dry PTFE Lube FG - Food SafeNSF H1 Registered dry lubricantA fine, dry PTFE lubricant for t..
Ambersil Fastclean 200 Super Fast DegreaserAn advanced de-greasing solvent, very powerful and extrem..